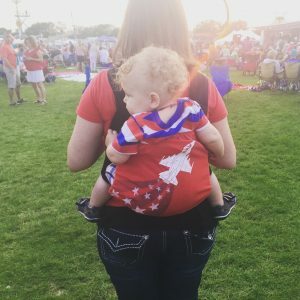 Come summer time, the questions about babywearing in the heat start flying. What type of carrier should I use to keep my baby cool? Should I be worried about my baby overheating in a carrier? How should I dress my baby for a hot day at the zoo? What is the best carrier for the summer? Worry no longer! You can babywear in any season. Being warm is typically annoying and uncomfortable for a baby wearer. It can be, however, dangerous for a young baby (specifically under six months) to overheat. Young babies have not developed the ability to regulate their own body temperature. To avoid overheating and discomfort, there are a variety of ways to stay cooler. *If your baby ever seems to be overheated, remove the child from the carrier and get to a cooler place as soon as possible. 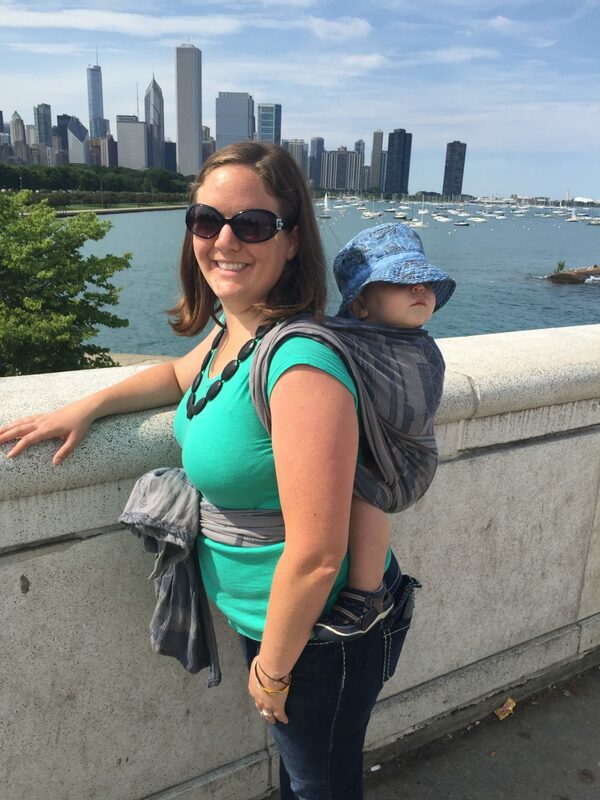 Fact: Babywearing is a warm activity. Fact: Two bodies pressed together will always be warm. Now that we have those facts established, I will share ways to help make things a little cooler for both the caregiver and child. There are certain tips, carriers, and accessories that can help you and baby stay cool through the summer. Sun: Moderate the amount of time you spend outside and take breaks where it is cooler as much as possible. Avoid the sun and take breaks from the sun as much as possible. 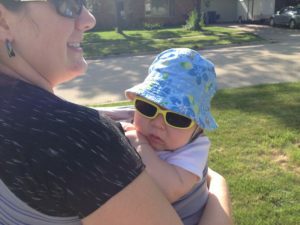 When the shade is not possible, you can protect a child from the sun using a hat or the hood on a carrier. Always ensure a child’s airway is clear and visible (i.e. never cover a baby’s face with fabric). Hydration: Ensure that the wearer and child stay hydrated (babies under six months receive hydration through breastmilk or formula, babies six months to a year also receive hydration through breastmilk or formula and can have small amounts of water following pediatrician orders). Clothing: Dress yourself and your child for the weather. Consider the carrier as an additional layer when planning. Consider the fabric type of your clothing. It can be helpful to have a layer of fabric to place between the child’s head and the wearer’s body as any skin to skin contact creates warmth. When choosing a carrier to wear in the extreme heat, there are a few things to keep in mind: coverage, layers, and fabric. There is not one best option. You can read through the three topics and decide what best meets your needs. Coverage: Different carriers cover your body in different ways. For example, a wrap will conform to your whole body right up against your skin while a buckle carrier has sides that are open. A meh dai, onbuhimo, or a buckle carrier gives you the most open space on the sides. This open space allows for increased airflow that will cool off the wearer and the child as it provides space for airflow where their skin meets. Layers: When wrapping in warm weather, consider the number of layers covering you and the child. A stretchy wrap will likely have three layers over the child and two crossing on your back. A woven wrap usually has one to three layers covering both wearer and child, depending on the carry you choose. 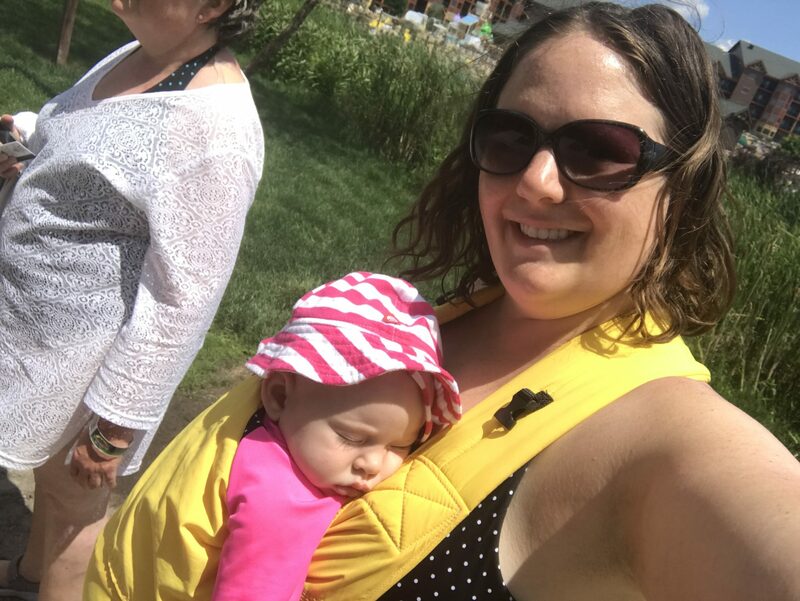 When using a woven wrap in warm weather, you can pick a carry with only one layer of fabric covering each of you and/or bunch the passes rather than spreading them when possible. A meh dai or onbuhimo each only have one panel covering the child and straps on the adult. A ring sling has one layer over the child and one diagonal layer across the wearer’s back. Fabrics: Buckles or SSCs (soft-structured carriers): A buckle carrier can be made of a lighter weight or heavier fabric. Some have a mesh or partial mesh panel meant to be cooler. Some buckle carriers require an infant insert for newborn babies through and can add additional thick layers of fabric around the infant. 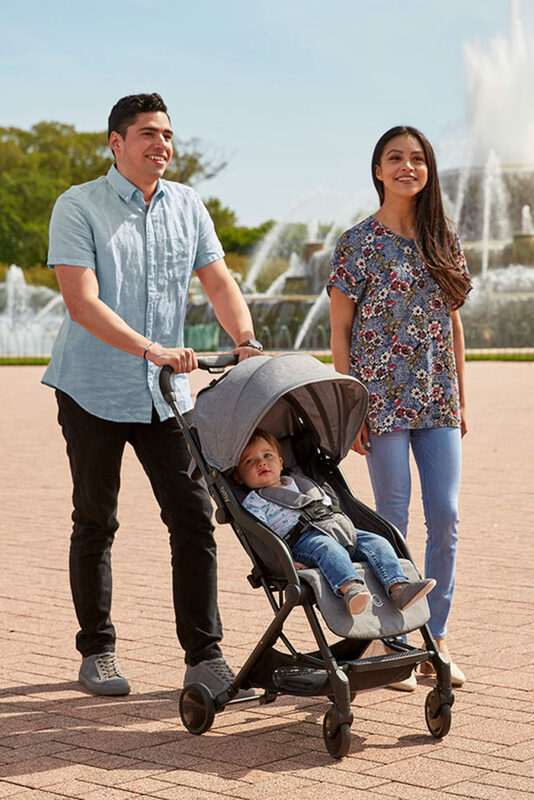 In especially warm weather, it can be beneficial to avoid carriers that require infant inserts. Woven Wraps: This type of wrap can be made from a variety of fabrics. The fiber content and weave impacts how a woven wrap feels in the heat. Cotton and linen tend to be more breathable and cooler to the touch. Though wool is known for retaining heat in the winter, it also wicks away moisture and can keep the wearer and child cooler in the heat. Some woven wraps contain bamboo, which wicks away moisture and can help in the heat. The thickness/tightness of the weave of a particular wrap can impact the fibers — thicker and cushier wraps can feel warmer compared to thinner and more breathable wraps. Stretchy Wraps: The fabric of the stretchy wrap makes a big difference in breathability. In the past, people created stretchy wraps using thick, non-breathable materials. Recently some brands have developed stretchy wraps made from thinner more breathable material. Water Carriers: Water carriers are for use in and near water. They are typically made from mesh or solarweave material. They are typically lightweight and can provide breathability for you and the baby while having fun in the water. There are a variety of water carriers including buckles, meh dais, wraps, ring slings and other unique brands. Mesh carriers tend to be less supportive out of the water. Solarweave provides additional UVA/UVB protection. Swimming in a carrier or back carrying in the water are not safe. Cooling towels: These are small, damp towels that can be placed on the wearer or the child during a heat spell. Through air movement and evaporation the towel cools off the skin. To be the most effective, place the cool, damp towel on the neck of the adult or child, the legs of a child, or the arms of the child. Do not place the cooling towel between adult and child otherwise the cooling technology is not able to work. Fans: You can clip a small fan onto your carrier to keep both the wearer and the child cooler with moving air. With all of this said, you most likely do not need to get a new carrier for the summer. Following these tips, the carrier(s) you own can meet your needs during cool and warm weather. But if you are in the market for a new carrier, keep these tips in mind and assess what will best meet your needs. For extra help, your local babywearing group or babywearing consultant can assist with finding the perfect fit for you and baby to be comfortable year-round!